Do you have what it takes to be our next Field Support Engineer? STEQ America is pharmaceutical manufacturing equipment sales distributor/agent based in Doylestown, PA. We market and sell, high quality equipment-based solutions, as well as deliver technical sales and support for top of the range European derived manufacturing and regulatory testing equipment to pharmaceutical, biotechnology, and life science laboratories throughout North America. 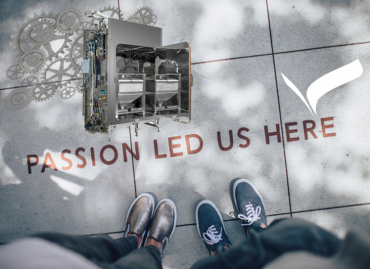 We are passionately focused on developing solution-based sales relationships through matching the appropriate technology of our product range to the requirements of our customers. STEQ America is looking for a highly motivated, enthusiastic, self-starter Field Support Engineer. This position will be responsible for post-sales activities including onsite surveys/meetings, technical project support, installation coordination, service support, and submission of service reports with customers and other internal STEQ America departments. The objective of this position is to drive post sales operational coordination, support and installation success, delivering exceptional customer satisfaction, maintaining long-term client relationships and trust, and delivering on time satisfaction and predicted levels of profitability. This is a full-time experienced technical support role based in Doylestown, PA. The position involves supporting capital equipment projects, downstream from receiving purchase orders. You will be an integral part of the Operational Team, supporting both equipment manufacturers and clients to make sure timelines are established and met, and installations progress seamlessly with outstanding communication, both verbal and written, with all stakeholders and suppliers. The ideal candidates should be highly motivated to succeed, and a driven individual who can align with our company philosophy and objectives. We are looking for someone who has the ambition to grow within STEQ America and embrace future career opportunities, in this fast developing business. If you think you have the potential to excel in this role we’d like to hear from you. Please email your resume to info@steqamerica.com to be considered.